How books are published is an ever changing thing. And so is the website for PublishNext. 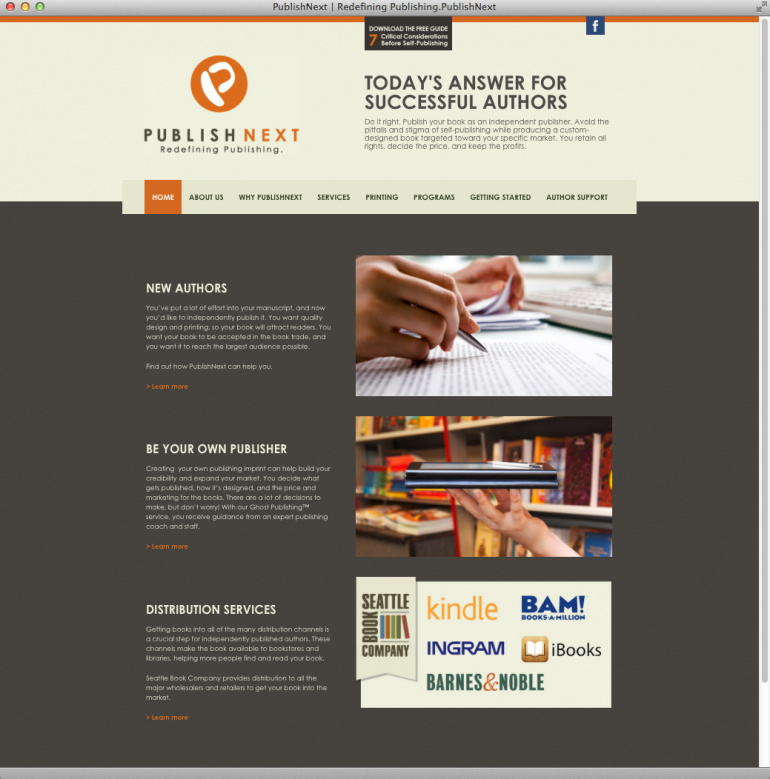 Like the authors they serve, PublishNext uses a flexible and responsive design, suitable for a computer and mobile device. The website was designed and built for WordPress, giving PublishNext the freedom to change their content without needing coding experience. True Northe designed this site using existing brand colors, and developed a WordPress child theme.